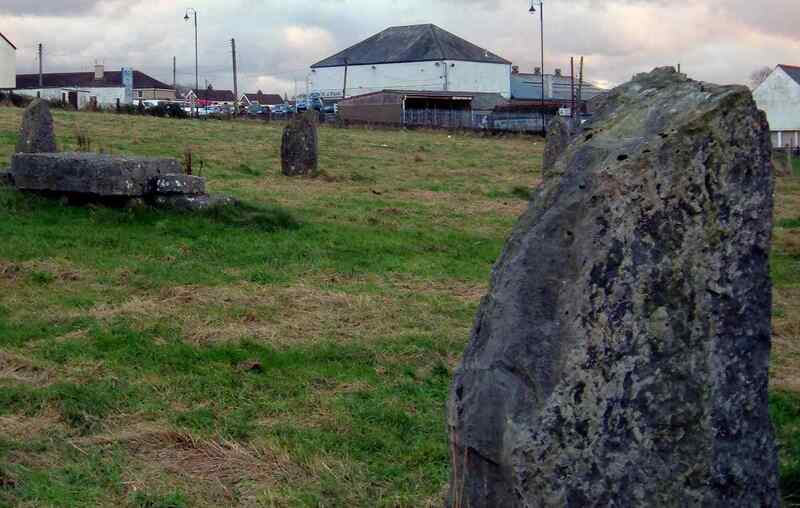 Llangefni Gorsedd Stones on Anglesey. Located in the field next to Home Bargains supermarket in Llangefni. These stones were laid in 1957 as part of the National Eisteddfod on Anglesey.